Home » Company » How Your ASC Can Improve Pain Management Billing? How Your ASC Can Improve Pain Management Billing? Ambulatory Surgery Centers (ASCs) or outpatient surgery centers provide same-day surgical care. This may include diagnostic and preventive procedures. However, ASCs may face problems related to physician reimbursement and accurate pain management billing. Staying viable can pose a challenge to ambulatory surgery centers. If you run an ASC and want to stay competitive and profitable, you need to overcome in-house billing challenges while staying compliant in the changing healthcare landscape. Here is a quick look at a few strategies that ensure successful reimbursement. Experienced coders can make a huge difference to your pain management coding. For example, in spinal procedures, they must be able to match the spinal nerves involved in a surgery to the proper code. Advancements in surgery means addition of new instruments and medical products. The coding staff needs to be aware of appropriate coding practices for each new medical device to ensure claim approval. This is easily done at a professional coding and billing service provider since their staff is adequately trained and experienced and stay updated on the latest changes in healthcare. Wrong or incomplete documentation and lack of relevant details can cause coding errors and lead to claim denials. So, doctors must include the aim of the procedure and how it is performed. Billing policies vary with carriers. The methodology of pain management reimbursement has drastically changed. The same documentation procedures that may have once been effective can now result in denials. Your medical coding staff should be aware of these changes and updates to each policy’s requirements. Professional medical coding and billing companies can do this easily. 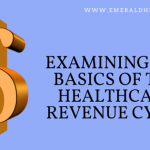 To learn more or to take advantage of the services offered by a professional pain management billing and coding company and behavioral health billing services, call Emerald Health LLC at 855-650-9906 Today.